The Irish Human Rights and Equality Commission (“The Commission”) has told Members of the Oireachtas Joint Committee on Justice and Equality that the State has an important opportunity to address the long-running human rights issue of access to employment for asylum seekers, and warned that a solution is not just an issue of finding a quick legal fix in the wake of the landmark Supreme Court ruling. Emily Logan, Chief Commissioner and Commission Member Professor Siobhán Mullally addressed the Joint Committee to outline the Commission’s recommendations on the form of the State Opt-In to the EU’s Reception Conditions Directive, to provide effective access to employment for asylum seekers. The question of the right to work for asylum seekers has been a priority issue for the Commission since its establishment. The damaging impact the lack of access to employment was having on asylum seekers and their families, including to their dignity and freedom, informed the Commission decision to exercise its function as amicus curiae (friend of the court) in the case of the Burmese man who took the Supreme Court challenge. Ireland should adopt what is emerging as international best practice in this area and provide for access to the labour market to be granted no later than six months after an application for asylum. Restrictions on the sectors in which asylum seekers may work should be limited to the greatest possible degree, and access to employment should not be contingent on wage, salary or working time restrictions which are not generally applicable to other job seekers. Any limitations that may apply should be devised with the principle of ‘effective access’ as the primary consideration. Any limitations which may apply should be based on publicly articulated and available policy criteria, which are subject to regular review. Effective safeguards against discrimination are an essential component in the design of the provisions. A targeted information campaign for all asylum seekers on the right to work, and supports available in accessing employment and while in employment, will be essential. Without adequate data on the skills, qualifications of the current cohort of asylum seekers, it will be difficult to design a process that ensures effective access. 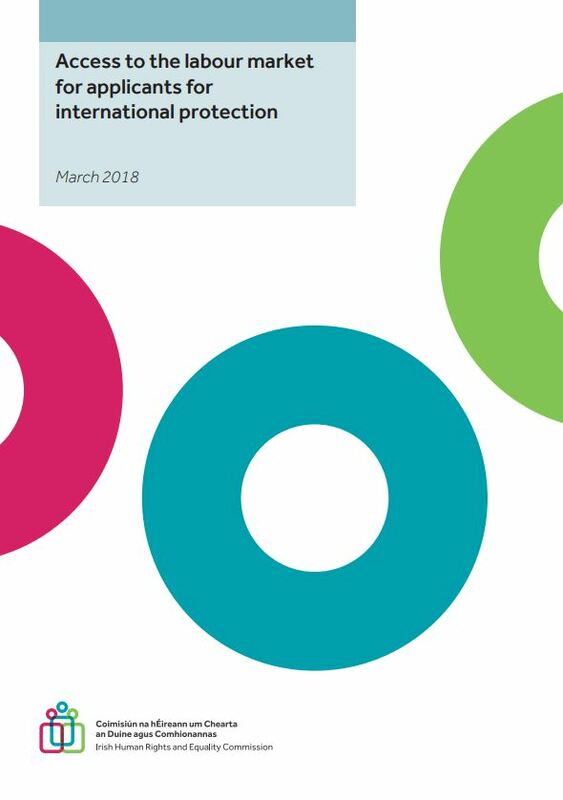 We therefore view it as essential that a good understanding of the labour market profile of asylum seekers underpins support structures for access to the labour market, and that the necessary research is carried out to achieve this understanding. In order to ensure ‘effective access’ to employment, the Commission is of the view that the scheme for access to employment must incorporate necessary processes to ensure such administrative barriers are overcome, including through training of officials, provision of accessible information, and the tailoring of identification requirements to the particular situation of asylum seekers. The Commission, in its independent role as the national human rights and equality body, directly accountable to the Oireachtas, is critical of the interim measures put in place as a response to the Supreme Court ruling, stating that the current measures are insufficient to provide effective or meaningful access to employment. The Commission also noted to Oireachtas Members that Opting in to the Directive will place Direct Provision on a statutory basis, underpinned by EU law, for the very first time – a very significant development, which will potentially allow for more direct parliamentary scrutiny. “Ensuring a right to work while seeking asylum is critical to overcoming both direct and indirect discrimination, in overcoming barriers to integration, in ensuring equality in access to employment and effective enjoyment of the human right to work, and equal enjoyment of rights in the workplace. The Oireachtas Joint Committee on Justice and Equality proceedings took place in Committee Room 2, Leinster house beginning at 09.15 on Wednesday, 9th May.